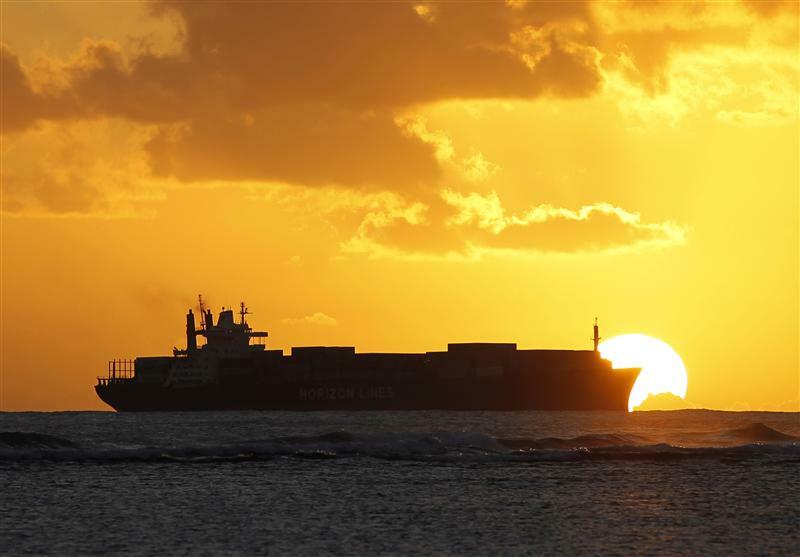 A cargo ship cruises as the sun sets at Ala Moana beach ahead of the Asia-Pacific Economic Cooperation (APEC) meeting in Honolulu November 7, 2011. Vietnam’s Ministry of Finance has offered to guarantee new bonds issued by Vinashin, the state-owned shipbuilder which defaulted on a $600 million loan in 2010, Reuters Loan Pricing Corporation reported on Feb. 5. The bonds will replace the loan, which has been the subject of an intense and long-running dispute between Vinashin and its international creditors. Vinashin almost collapsed under the weight of its borrowings, which some creditors estimate at around $4 billion. Last year, the company’s former chief executive was sentenced to 20 years in prison. The new bonds, which will have a maturity of 12 years, carry a 1 percent annual coupon. The interest will accrue and be added to the principal at maturity. Creditors led by Credit Suisse, which arranged the original loan in 2007, must now vote on whether to approve the proposal. The debt has changed hands repeatedly in the past two years. In 2011, Elliott, the distressed debt hedge fund, sued Vinashin in the UK high court.